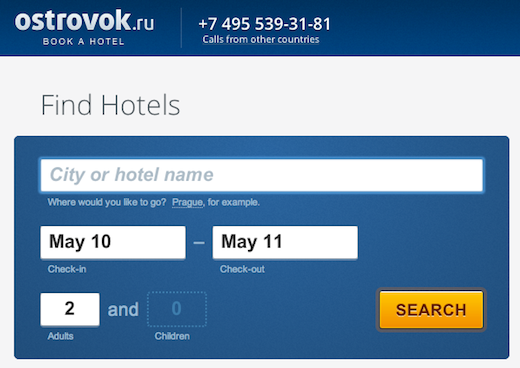 Moscow, Russia-based online hotel booking service provider Ostrovok has raised $25 million in Series B funding, a mere two weeks after one of its main local rivals, Internet travel agency Oktogo.ru, raised $11 million. 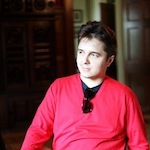 Ostrovok’s capital injection comes from a mix of prior and new backers, including General Catalyst Partners – which led the round – Frontier Ventures, Accel Partners, global tech investor extraordinaire Yuri Milner, prolific Silicon Valley investor Shervin Pishevar, ex-Expedia CEO Eric Blachford and the former head of UBS Russia, Edward Kaufman. The round, which Ostrovok claims makes it the best-capitalized online travel company in Russia, will likely not be the last for the startup. In a phone conversation with co-founder and CEO Serge Faguet earlier this week, I learned that there’s no cashing out involved in this fundraising round and that every penny went straight into the fledgling company. In fact, both co-founders, Faguet and Kirill Makharinsky, contributed $2 million of their own money to the Series B round. Makharinsky previously co-founded YouNoodle and worked at Slide.com, while Faguet had a stint working for Google and co-founded TokBox. Faguet points out that part of its 200-strong workforce travels to all corners of Russia to build direct, long-term relationships with hotels country-wide, and that a lot of resources also goes into making sure all of its product, both for the Web and mobile devices, are top-notch. The third reason why the Russian online hotel booking market is an expensive space to operate in, Faguet argues, is that consumers don’t (yet) generally trust Internet service providers with their money. Ostrovok is currently running television advertising campaigns on a major public TV network for that very reason. Ostrovok says the $25 million will help the company to continue developing its existing as well as new products, such as a third-party API to integrate its inventory and accelerate sales across partner networks. Ostrovok’s API is currently used by a range of partners, including MegaFon, Tripadvisor, Kayak, Sheremetyevo airport and others. Last year, Ostrovok launched mobile apps for iOS and Android, and a steady stream of revenue is now coming from on-the-go customers. Faguet tells me approximately 10 percent of all bookings through Ostrovok are currently made using a mobile device, whether it’s a smartphone or tablet app or a portable connected device owner using the company’s website. In addition to product development, Ostrovok also plans to use the funds for business expansion, in particular growing its sales and customer service teams. 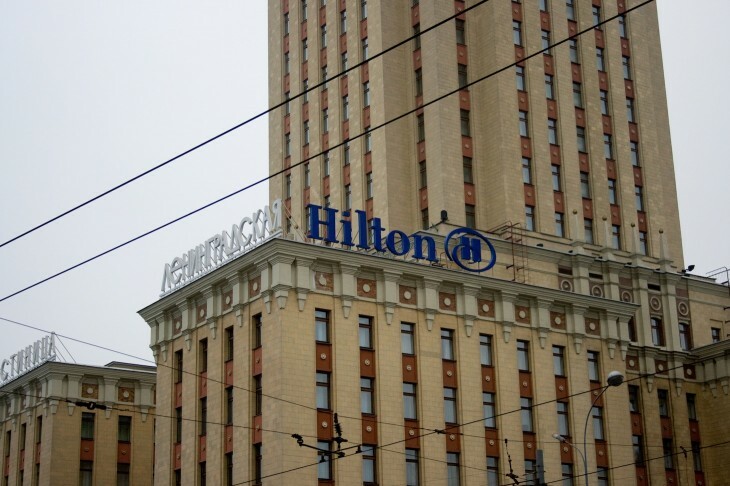 The company’s aim is to become the leading online booking service based on the number of bookable hotels across the former USSR, challenging leader Booking.com in particular. Founded in late 2010, Ostrovok’s Web and mobile properties today receive more than two million visits every month. The fledgling company offers its users a selection of more than 135,000 hotels in 200 countries around the world. In the past eighteen months, Ostrovok signed direct agreements with over 4,800 hotels in Russia and the CIS, trumping all existing local players in terms of numbers. 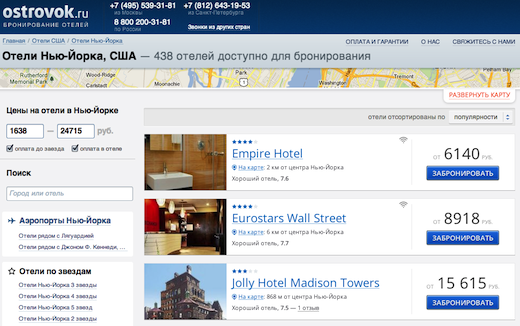 In 2013, Ostrovok plans to establish direct connections with hotels in Europe, Asia, and the United States. Faguet asserts that all of the investors in the Series B round were carefully chosen, some because they’ve funded the company in earlier stages (General Catalyst), others because they should be helpful in terms of supporting growth with local and international business expertise (former Expedia CEO Eric Blachford), and others because they can open doors for larger funding rounds down the road (another new backer of Ostrovok is Steve Hellman, country CEO for Credit Suisse Russia). Yuri Milner’s involvement is notable too: according to Faguet, this is the first investment he’s made in a Russian company in three years. In a statement, Milner notes that the “persistence, commitment and strategic vision of the team” contributed to his decision to invest.